During their meeting Monday, Williamston Town Council heard an update on Envision Williamston projects and grants, set fees for zoning variances, approved four mutual aid agreements and new operating guidelines for the fire department. Council also approved more stringent rules for mobile homes that are approved for locating in the town. During public comments from Pamela Owens regarding items designating the historic dining room in Town Hall being removed and speeding on Gray Drive. Bonnie McCollum also addressed council about gun violence and other problems in her neighborhood. Williamston Police Chief Tony Taylor said the department is in the process of sending out a letter to landlords notifying them of problem areas. Taylor also reported that a number of volunteers helped with the recent back pack giveaway. He said his department is working with other departments for mutual aid. Council later approved four resolutions allowing the mayor to enter into mutual aid agreements with neighboring towns. Taylor reported the department is planning for direct response to problem areas and officers recently completed eight hours of training on search and seizure. Envision Williamston Executive Director Sonya Crandall reported the organization has obtained price quotes for an electronic message board and a demo by one of the vendors will be held at Town Hall on Monday Sept. 19 at 11 a.m.
Crandall announced that Roxanne Hall has been named the new board chair for Envision Williamston. Dr. Marion Williams will be vice-chair, Tiko Thurman will be secretary/treasurer for the organization. She said EW is seeking a SC Municipal Association grant which will be supplemented by a match by the Palmetto Business Association. Envision Williamston is also working on a Main Street Challenge, an Adopt a Rest Stop beautification project and will hold the Scarecrow decorating contest again this fall. In other action, Council unanimously approved second reading on a Fire Department Cost Recovery Ordinance. Council approved second reading on an ordinance amending the manufactured home regulations. The amendments make technical changes requested by the Planning Commission requiring brick foundations and poured footing instead of block, along with other specific guidelines for types of homes the planning commission may consider. The town’s guidelines are more strict than county requirements, Town Attorney Lee Cole said. Council relunctantly approved second reading on an Indigent Defense Funding ordinance. The ordinance amended the town budget to allow for $4047 payment to the 10th Circuit Court Solicitor for providing a public defender in municipal cases requiring one. The town attorney said the town averages about 24 cases each year requiring a public defender. The standard rate for an attorney per case is $900 he said. If the town did not provide the service through the solicitor’s office, they could contract with an attorney which Cole said would be more expensive; have cases tried in Magistrate Court, resulting in a payment to Anderson County, or not provide one, which would result in taking away the threat of a jail sentence. The vote was 4-1 with Councilman Rockey Burgess opposed. Amending the agenda to address a request by Envision Williamston director to reallocate $2,000, council unanimously approved moving the funding from the Main Street Challenge to the Adopt a Rest Stop Program. The funding will be used for a bench sitting area beautification project and to encourage economic development in the town. Council unanimously approved the appointment of Jeff Boozer to the Planning Commission. The recommendation was by Councilman David Harvell for the Ward 3 area. Council also approved a resolution committing matching funds required for the SC Municipal Association Hometown Economic Development Grant. The Palmetto Business Association will be contributing $1250 for the match required for the $25,000 grant. 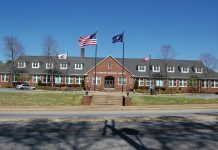 Council approved four resolutions authorizing the mayor to enter into Mutual Aid Agreements with Anderson County Sheriff’s Office, the City of Anderson, the City of Belton and the Town of West Pelzer. Council also approved an ordinance establishing rules, regulations and standard operating guidelines for the fire department. Councilman Harvell abstained. Council also approved an ordinance establishing administrative fees for zoning variances that go before the Zoning Board of Appeals. The administrative fees range from $100 to $500. Council unanimously approved a proclamation recognizing September 15-October 15 as Hispanic Heritage month.